Scent Description Amaretto is an Italian liquor that is sweet and rich. 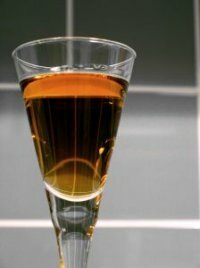 Amaretto is made from the almond nut. Not safe in skin care applications other than soap (only up to 4.7%), body washes, bubble bath, and bath salts. Ladybug Air Freshener Blank *NEW for 2019! Amaretto is my husband's favorite. I make him candles to use in his office at work, he just can't get enough! I'm glad Bitter Creek offers this one. It's great. This scent is fantastic! Very true to its name! I use this Amaretto to mix a custom fragrance that is one of my best sellers (in my wax products). Great throw! Both cold and hot scent throw are great on this scent. I mixed it with a chocolate fudge scent (from another company) to make chocolate covered cherry candles and my gosh! It's fabulous! Nothing like it!